High school can be very painful for anyone who is the slightest bit different. Thankfully, I’m 5 years removed from it but my little sister is a freshman so I get to sit back and observe this social phenomenon as an objective outsider. 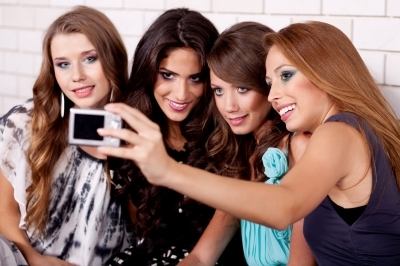 When you’re in high school (specifically a teenage girl in high school), it seems that every social situation is a CRUCIAL moment in your life. Not abiding by the invisible rules of pubescent social etiquette could result in getting shunned from the clique. This, by the teenage spectrum of standard exaggeration, is death. Girls strive to fit in and seek reassurance that they are ‘secured’ in their pack. This essentially creates an army of mini tyrants disguised in pink twill. This brings me to introduce the concept of a ‘frenemy.’ A ‘frenemy’ is someone who you’re friends with by all appearances, but is actually someone who you would like to squirt ketchup on. In the high school scenario, she might be characterized as the bully of the group or perhaps the arrogant leader of it. Either way, you find yourself supporting her terrible behavior because you’re too afraid to speak out and risk losing your social standing. There’s a biological reason for this behavior. According to Dr. Louann Brizendine, who wrote the fantastic book ‘The Female Brain,’ the main job of a girl brain is to keep social harmony. The teen girl’s brain circuits are wired so that social rejection actually triggers a neural stress response (Brizendine 35). When a relationship is threatened, the female’s feel-good brain chemicals drop (such as serotonin, dopamine and oxytocin) and the stress hormone cortisol takes over. Now this has become a matter of life or death. She’ll start feeling anxious and fearful of being rejected. She’ll become cranky to family members. She soon begins to crave that feeling of closeness again, for that great intimacy drug oxytocin. She’ll eventually decide to stick to her clan of frenemies to keep that utterly important social harmony. This can also explain why girls go to the bathroom together. Those girls hanging out in the bathroom are reinforcing their most important relationships- with other girls. Many women find biological comfort in one another’s company and language is the glue that connects them together. Talking and sharing secrets activates even more oxytocin release. The oxytocin reinforces the desire to gossip and connecting then brings a sense of pleasure and well-being (Brizendine 37). Why exactly are girls built this way? One plausible reason goes back to primitive basics. Remember- our modern female brain still has the circuitry of our most successful foremothers. Studies have shown that female mammals in a bonded social group are more likely to come to another’s aid in a threatening situation, such as if a male is overly aggressive to a female. Members of a group can alert one another of conflict ahead of time, enabling them to move away from potential danger and to continue safely tending dependent children. This pattern of behavior is called ‘tend and befriend,’ and it is particularly a female strategy (Brizendine 42). Since teen girls are biologically reaching optimal fertility, their primitive brain begins to stress the importance of this strategy. It’s saying, “Lose that bond with your peer, and both you and your offspring are toast.” No wonder girls find it unbearably hard to cope with feelings of being left out. There’s even a biological reason for why some teen girls can become so evil to one another. Hormonal surges can turn these girls mean but so can sexual competition. This competition is much different in girls than in boys. When females are competing with other females, they often use subtle tools, such as spreading rumors, to undermine a frenemy. That way she can cover her tracks. Instead of using force, which is the male’s standard protocol, the female uses her best set skill-language- to get what she wants. Such tactics lessen the risk of destroying the bond that the teen girl brain sees as essential to survival. The teenage girl brain is drowning in estrogen and other chemicals that make it pretty difficult to survive these years. It’s always drama, drama, drama. That’s not to say that teenage boys aren’t dealing with an insurgence of hormones- they are and they have their own set of embarrassing problems. But research findings like these can reassure a gal that her feelings of mayhem are only temporary. So if you are a teenage girl, remind yourself that you will mellow out. Then remember to tell your frenemy that it is not her fault she’s acting like a jerk but that it is just her cortisol coming out to play. Brizendine, Louanne. The Female Brain. New York: Broadway Books, 2006. Hollie is an environmental engineering master’s student at Georgia Tech. She did her undergraduate at the University of Florida. In addition to the environment, she is passionate about photography, music, blogging and traveling. She’s new to Atlanta and gets lost often so help her out if you see her wandering around aimlessly.